UFO SIGHTINGS DAILY: Marshenge!!! 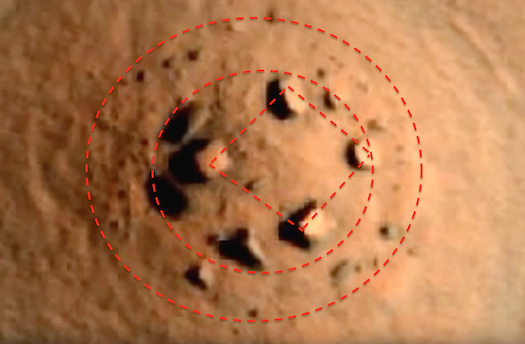 Stonehenge Looking Area On Mars Discovered! Sept 2015, Video, UFO Sighting News. Marshenge!!! Stonehenge Looking Area On Mars Discovered! Sept 2015, Video, UFO Sighting News. This is something remarkable found by Mister Enigma of Youtube. Its two circles of rocks and one square in its center. This is not the first time I have seen this. I have seen it many times in dozens of photos of Mars, always a circle. Sometimes with big rocks, sometimes smaller, but always on small hills only. Alien Mysteries: Marshenge!!! Stonehenge Looking Area On Mars Discovered. Mister Enigmas Facebooks (click here).